As a crucial member of the Park Avenue Dermatology Mohs Surgery team, my goal is to ensure every patient achieves the best result possible. 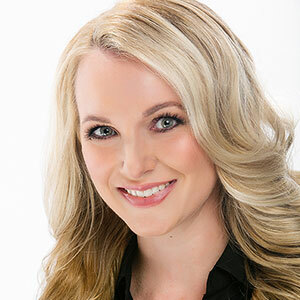 A native of Ormond Beach, Florida, Ms. Harrington attended the University of Central Florida graduating in 2005 with a Bachelor’s degree in Psychology. Following graduation and at the height of the real estate bubble, Julie returned to Ormond Beach to work as a licensed realtor. In 2007, realizing medicine was the career path that she most favored, Ms. Harrington began working in the healthcare field as a Medical Assistant in a pediatric clinic. Eventually, she plunged herself into the arduous and competitive Physician Assistant program application process. In 2010, Ms. Harrington was accepted into the Physician Assistant (PA) program at Nova Southeastern University, Jacksonville campus. After completing her initial clinical rotation in Dermatology she realized that her enthusiasm for the specialty far exceeded any other medical specialty that she had previously experienced. This would lead her to select the field of dermatology for her critical and final PA preceptorship. In March of 2013, Julie officially became a part of the Park Avenue Dermatology. Ms. Harrington is a member of both the Florida and National Societies of Dermatology Physician Assistants. On a personal level, Julie enjoys spending time with her husband, Jeremiah and her Pomeranian puppy, “Baby Girl”. A little known but interesting fact about Julie is that she loves to sing on stage. Don’t be surprised if you run into her singing with the band at Orlando’s Rising Star.